work. The Polarizer filter is the perfect tool for reducing glare and increasing color saturation to make your content pop and is great for conditions where you are happy with the camera's shutter speed but are looking to make things a little more vibrant. The ND8 neutral density filter will help reduce the native high shutter speed of the HERO5 by 3 f-stops, giving your video a more natural cinematic look and smoother composition. The Graduated ND8 filter is the third filter in the set and is used for capturing stunning sunsets or sunrises. This filter is dark on the top and softly transitions to clear on the bottom. The dark top section helps reduce the brightness of the sky while the clear bottom section allows the ground to remain unchanged, creating a more balanced exposure between the bright sky and the darker ground. When mastered, the Graduated ND8 filter will produce jaw-dropping compositions your viewers will praise you for. The Venture 3-Pack includes a custom carrying case to keep all the filters protected and ready to use. Multifunctional head assembly (allows for every possible camera angle with full 360° Pan & Tilt Action using a combination of available adapters). 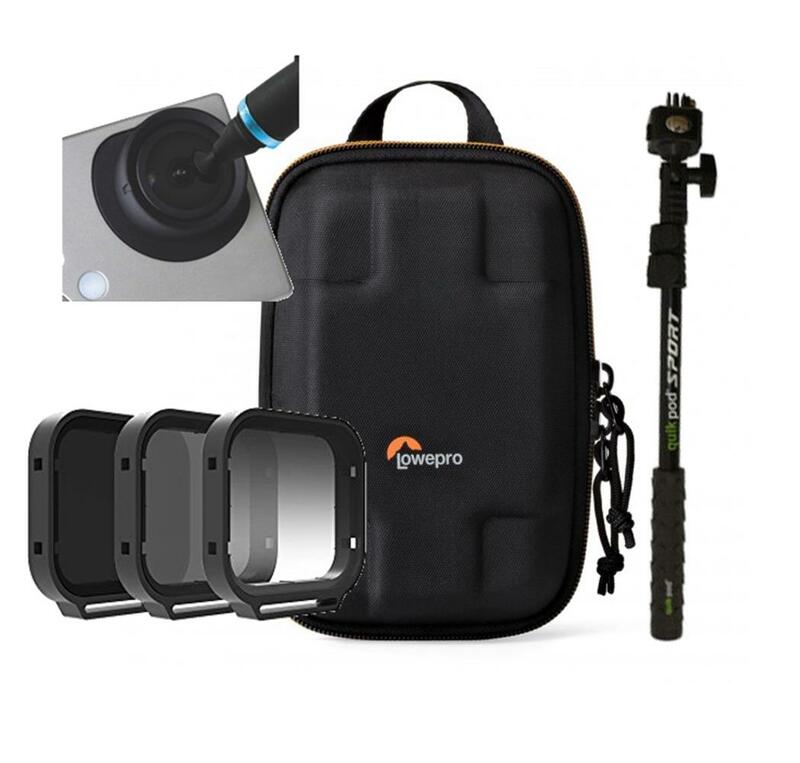 Protect and organize action video cameras such as GoPro plus accessories with a lightweight and impact-resistant case. Place two POV cameras, like GoPro, Contour or Sony, in a purpose-built case designed to protect and organize action video cameras and accessories. Customizable your action kit! Padded and softly lined main compartment includes adjustable dividers to arrange gear in a variety of ways.